Sprinkle a little pixie dust with this Tinker Bell bangle from Disney. 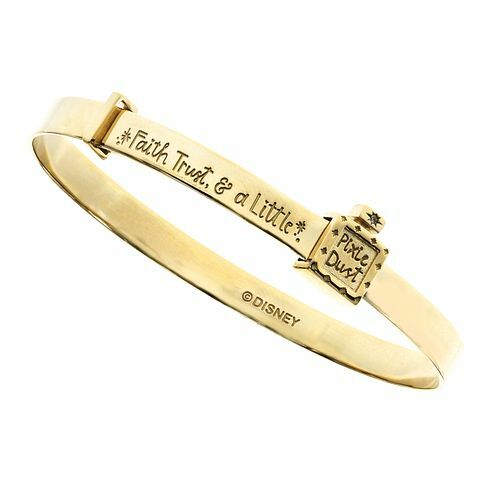 Designed in gold plated sterling silver, this adorable bangle is decorated with the engraved "Faith, Trust, & a Little Pixie Dust" message and a bottle of pixie dust set with a single clear crystal. This bangle is the perfect gift for any budding little princess. This design is exclusive to H.Samuel and each piece comes with its own beautiful Tinker Bell gift box and bracelet pouch.